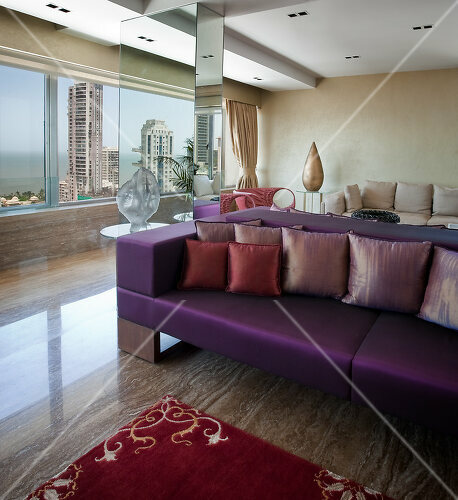 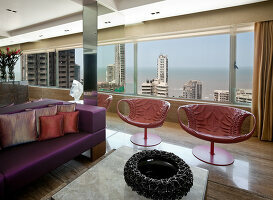 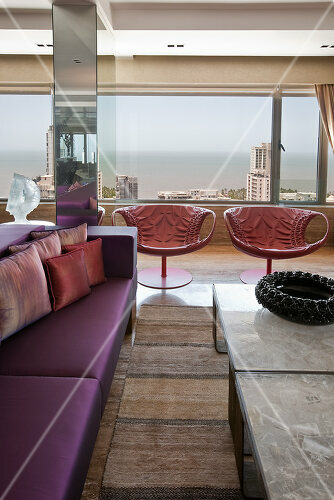 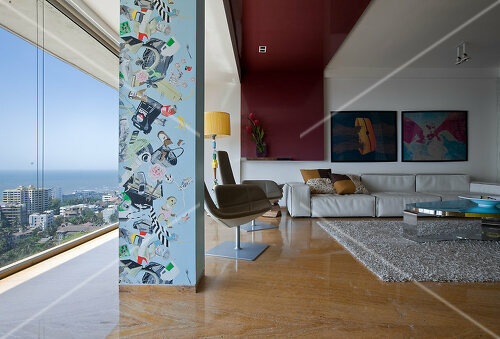 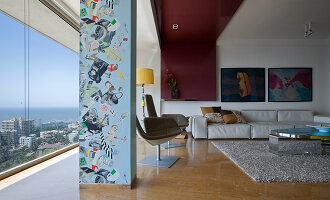 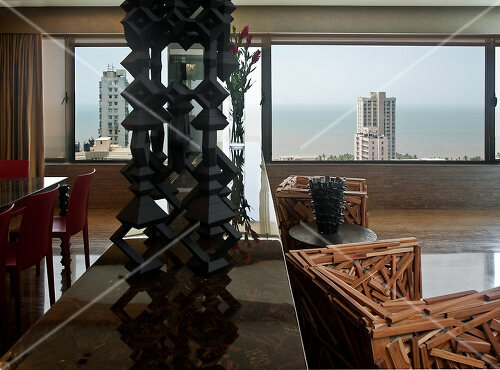 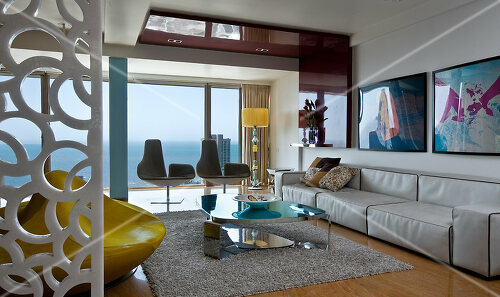 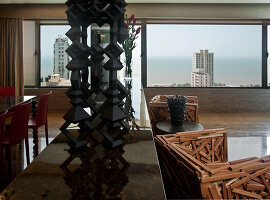 The hot Indian city of Mumbai never looked as cool as it does from this towering penthouse. 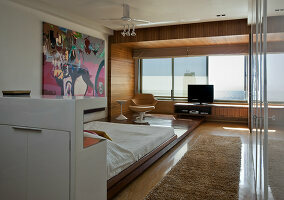 High above the city skyline this dwelling is dressed in natural materials and hues. 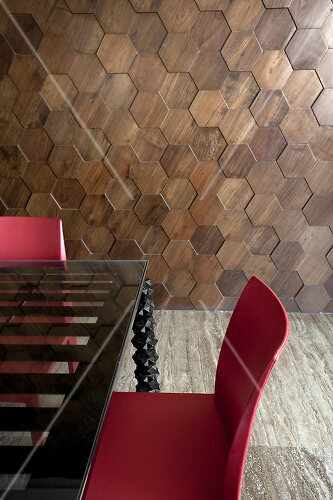 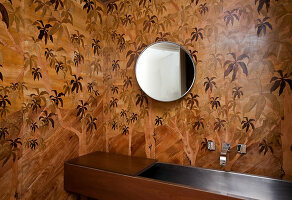 From the leather chairs and sofa to the wooden tile-like design on the walls. 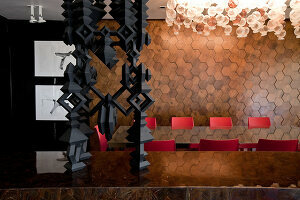 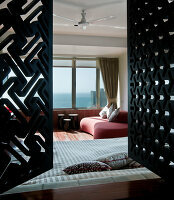 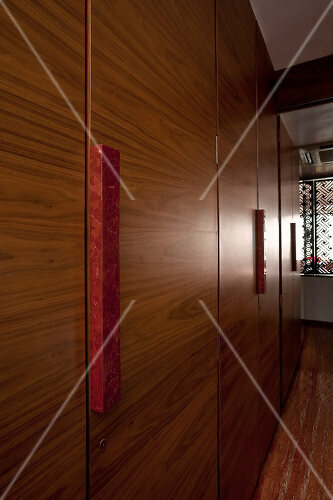 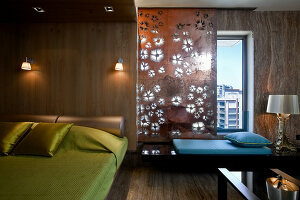 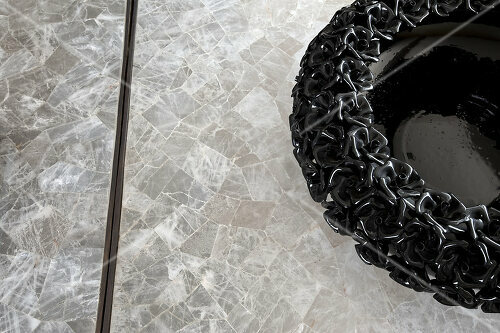 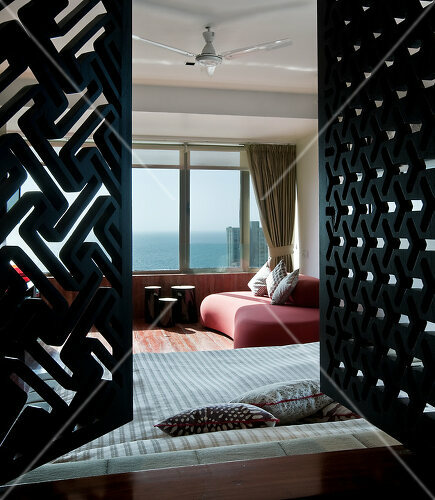 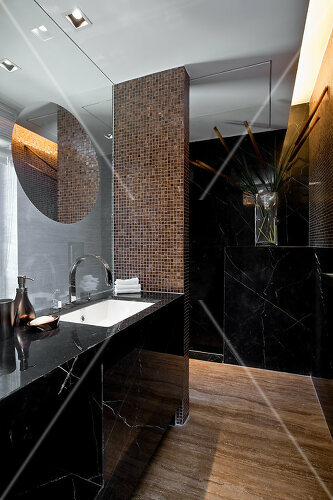 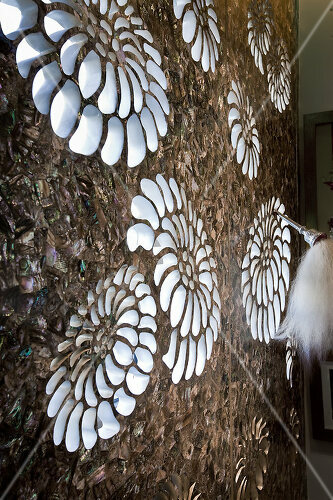 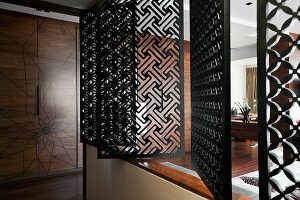 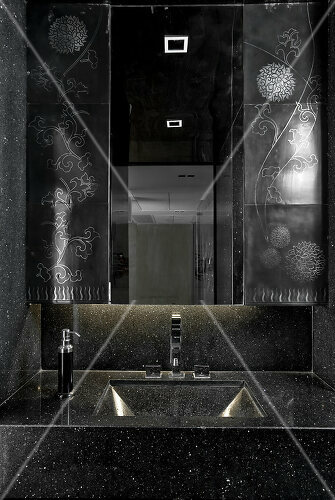 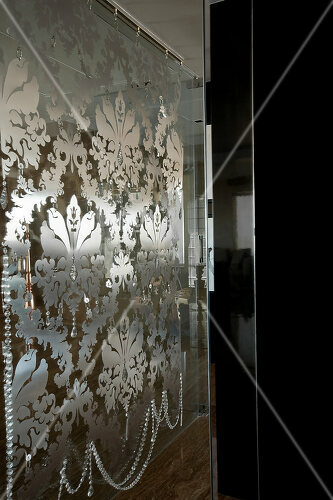 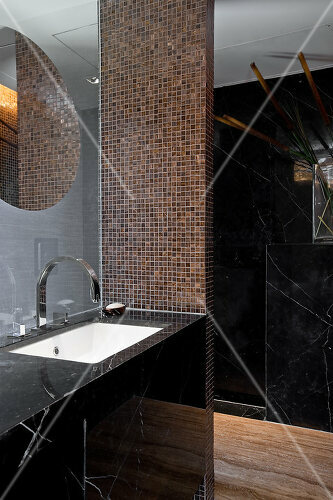 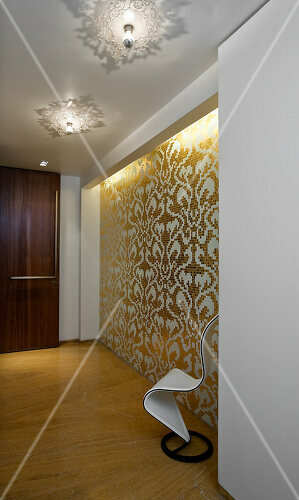 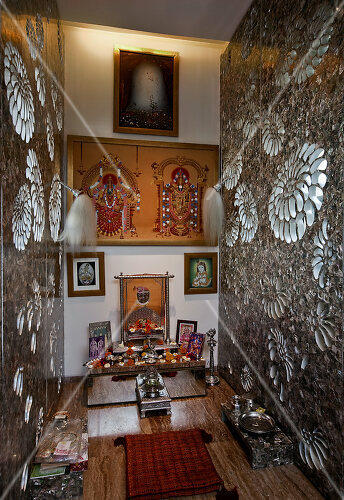 It has beautiful geometric partitions that create a modern ethnic design to the space.